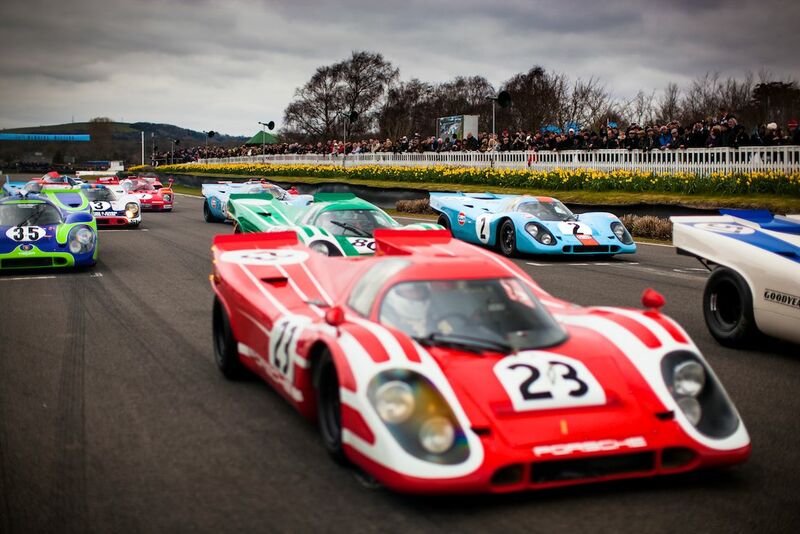 The Goodwood Members Meeting 2016 was staged over the weekend of 19-20 March at the iconic 2.4-mile Goodwood Motor Circuit in West Sussex, England. 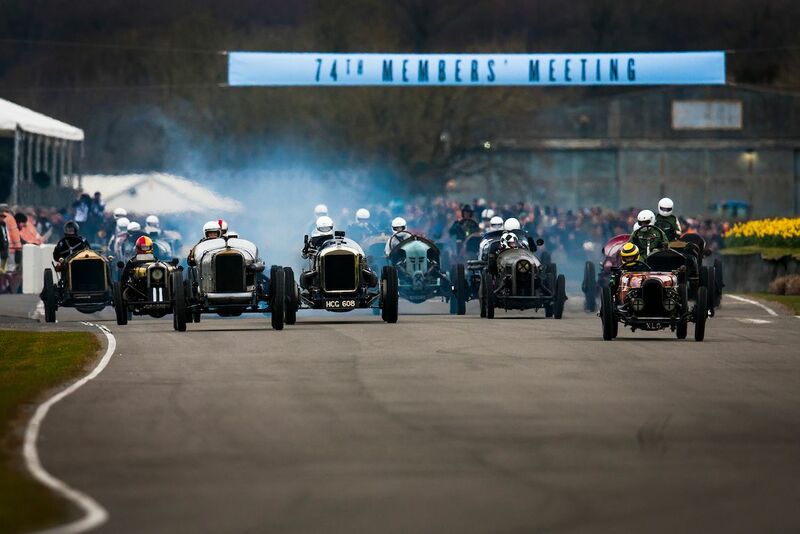 The 33,000 visitors on-site over the 74th Members’ Meeting weekend were treated to some real edge-of-the-seat competition, with close wheel-to-wheel racing. Along with the now-established Gerry Marshall Trophy race for 1970-82 Group 1 saloon cars, the 2016 Goodwood Members Meeting introduced a number of new races and competition vehicles to the event. These included the S.F. Edge Trophy for Edwardian specials of a type that raced up until 1923, with Duncan Pittaway’s tiny 1921 GN Curtiss beating the giant 1923 Delage DH V12 of second-placed Mattias Sielecki. 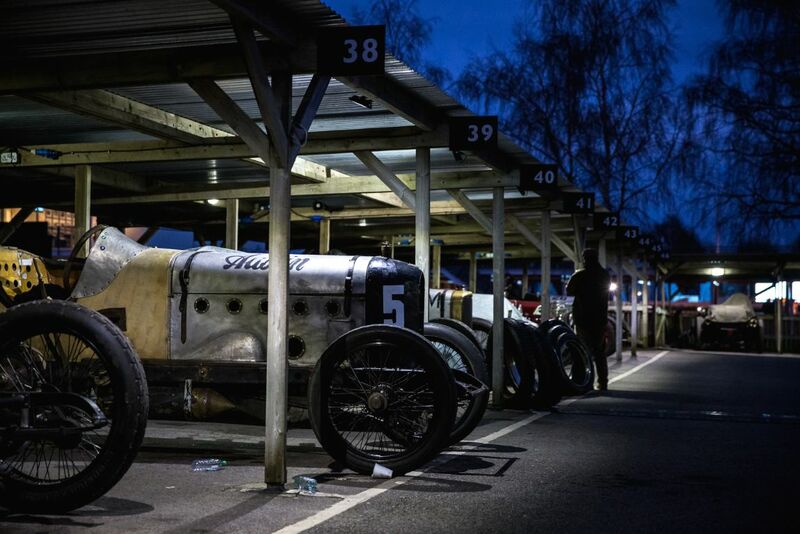 An astonishing one hundred year old Sunbeam ‘Indianapolis’ was driven to third by Julian Majzub. The very first motorcycle race at a Goodwood Members’ Meeting — the Hailwood Trophy, for two-stroke 250cc and 350cc Grand Prix bikes that raced between 1970 — was won by Ian Simpson on a 1979 Yamaha TZ350E, with Richard Parker (1981 Spondon Yamaha TZG) taking second, and Dean Stimpson (Harris Yamaha TZG) third. 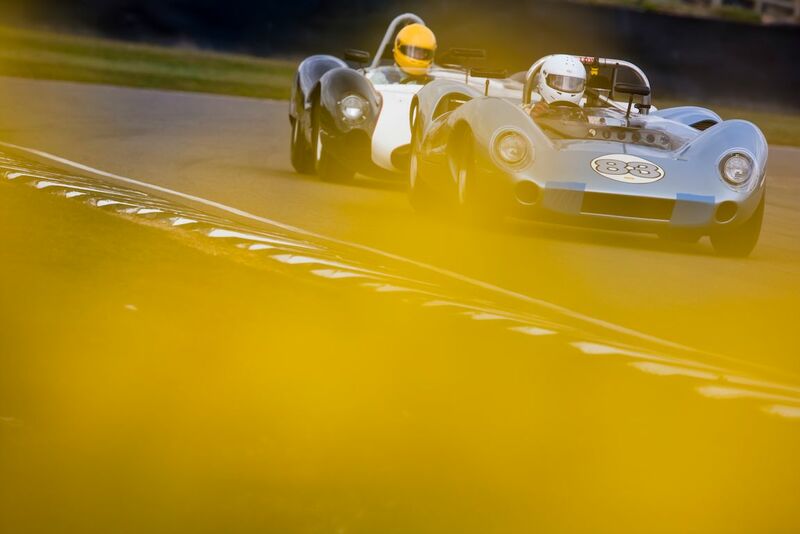 In Sunday’s close-fought Derek Bell Cup race for 1964-70 Formula 3 cars, Andrew Hibbard’s 1966 Brabham-Ford BT16 took the laurels, followed by Peter Thompson’s 1968 Brabham-Ford BT21 and Jim Blockley’s 1970 Chevron-Ford B17 on the podium. James Cottingham won the Graham Hill Trophy for 1960-66 GT cars in a Shelby American Cobra Daytona coupe, chased by Andrew Smith in second in another Cobra Daytona and Rob Hall in third in an AC Cobra. William Nuthall took victory in the Parnell Cup for Grand Prix, Formula 2 and voiturette cars that raced up to 1953 in a 1953 Cooper-Bristol Mk 2, with Eddie McGuire taking second (1952 Cooper-Bristol Mk 1) and Marc Valverkens (1952 Gordini Type 16) third. Ford Lotus Cortinas took a 1-2-3 in the Whitmore Cup race for sub 2-litre saloons, with Richard Meaden taking a comfortable victory over Mark Sumpter and John Young. The final race of the weekend was the Peter Collins Trophy for 1948-55 drum-braked sports cars, with Sam Hancock taking a decisive win in a 1953 Cunningham C4R over second placed Steve Boultbee-Brooks’ 1955 Aston Martin DB3S with Richard Woolmer’s 1954 HWM-Cadillac taking third. 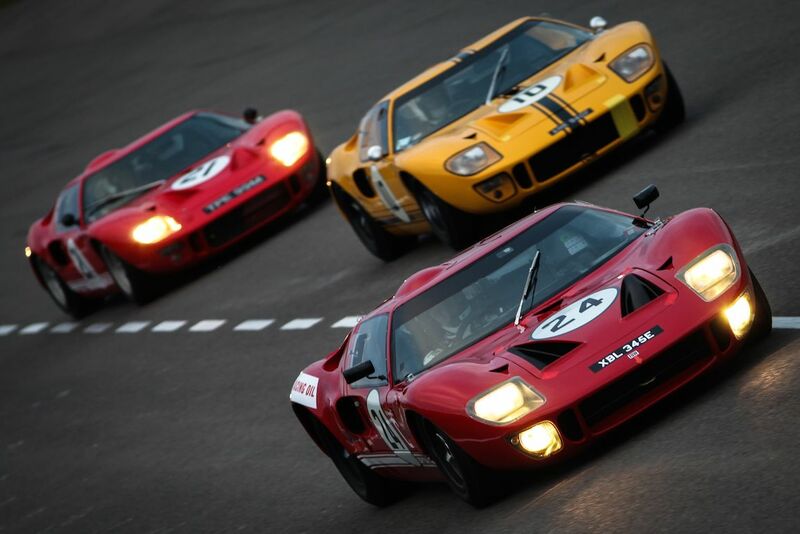 The fastest racing lap of the weekend went to Frank Stippler in a 1965 Ford GT40 who clocked a lap time of 1 minute 21.607 seconds in the all-Ford GT40 Alan Mann Trophy race. He was rewarded with a special watch from Members’ Meeting timing partner IWC Schaffhausen for his impressive achievement. Adding to the fast-paced racing over the weekend was a series of high-speed, high-octane track demonstrations. One such demonstration featured 30 ground-effect Formula 1 cars from the late 1970s and early 1980s, which provided a distinctive howling soundtrack. Guests also enjoyed the sight of Group 5 sports cars — including a record gathering of Ferrari 512s and Porsche 917s — plus some of the iconic Super Touring tin-top saloon racers from the halcyon days of BTCC. The official timing partner of the Members’ Meeting — IWC Schaffhausen — also staged a very special celebration display of three significant Mercedes-Benz ‘Silver Arrows’ racer, with F1 legends Mika Hakkinen and Jochen Mass driving demonstrating laps in the W196s. Away from the gripping track action, there was plenty of other activities, attractions and amusement for the Members’ Meeting visitors with a set of diverse and unusual participations for the Goodwood Road Racing Club members to try their hand at and earn points for their allotted House team. These included driving scaled-down classic cars at the 74th Auto Test, plus duck herding, archery, ferret racing, a tug of war and many other activities. The points collected were added to the racing results of the team member drivers during the weekend, with the Methuen House ultimately victorious for the third year on the trot. Lead by House Captain Anthony Reid, the sports and touring car driver and Goodwood regular, Methuen scored a total of 7,318 points at the 74th meeting. Second placed Torbolton accumulated 5,834 points (with five-time Le Mans winner Emmanuelle Pirro as Captain), Aubigny was third with 5,809 points (Captained by BTCC Champion Andrew Jordan), and Darnley brought up the rear with 5,340 points (with F1 and sports car racer Jochen Mass as Captain). Visitors to the sell-out Goodwood event were also able to peruse the retail areas, dine in the Great Hall and bid on vehicles at the dedicated Bonhams Members’ Meeting auction of important sports, competition and collectors cars. 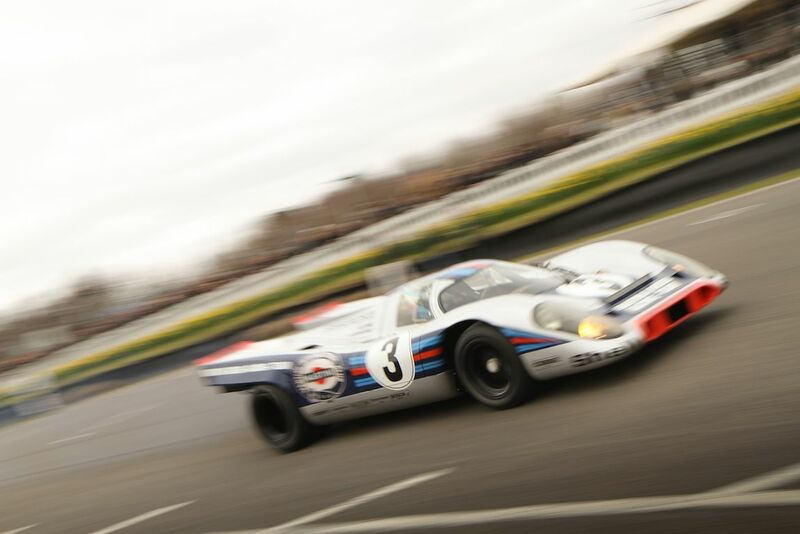 Sports Car Digest documented the 2016 Goodwood Members Meeting with the following selections from the 74th Goodwood Road and Racing Club event. We split up pictures into two galleries. The first gallery starting below features our favorite images, all displayed in the full-width view of Sports Car Digest, while the second gallery can by found on the last page of the gallery and gives a comprehensive view of all the photographs. Brilliant images. Some of the best I have seen from Goodwood. The leadoff image of W196 would go on my studio wall. Keep up publishing images like these. Thanks. DG: You must be joking, these are the worst collection of images ever presented at this site; a total waste of my time. I look forward to thursday every week for these feature articles! Keep them coming, I love them! One day I’ll get to Goodwood. What , no photos of the lotus cortina race???? Rest assured, we have pictures from all races, but way too many to publish at one time. We’ll publish those in time. Thanks! Great photos but too many people and flowers, not enough cars. not Marcus Mussa and not a McLaren M1. It’s a Lola T 70, driver A. Galliers-Pratt. Daffodils make racing photographs with the beauty and beast contrast. No D-Types? Wish you would do a report on the ferret racing. Where I used to live in south Georgia, we had armadillo racing in sprints, hurdles and swimming (they hold their breath and walk on the bottom). Nice to see freedom of expression still exists. 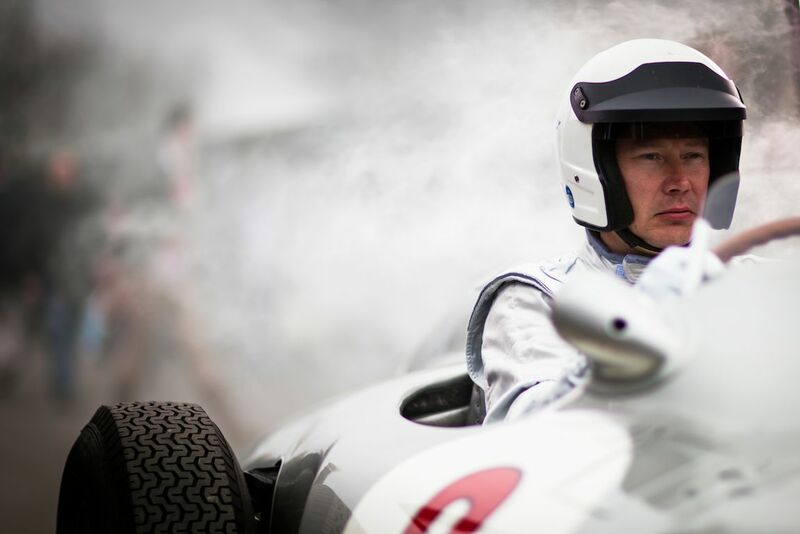 Peter Baker (www.retro-speed.co.uk) reports historic motorsport, except Goodwood Members Meeting. To elitist. Really missed the Graham Hill Trophy GT type cars. Saw the first one and didn’t see another in the 14 segments of photographs. These are the cars that one likes to see. Now I will look for the race on U-tube. 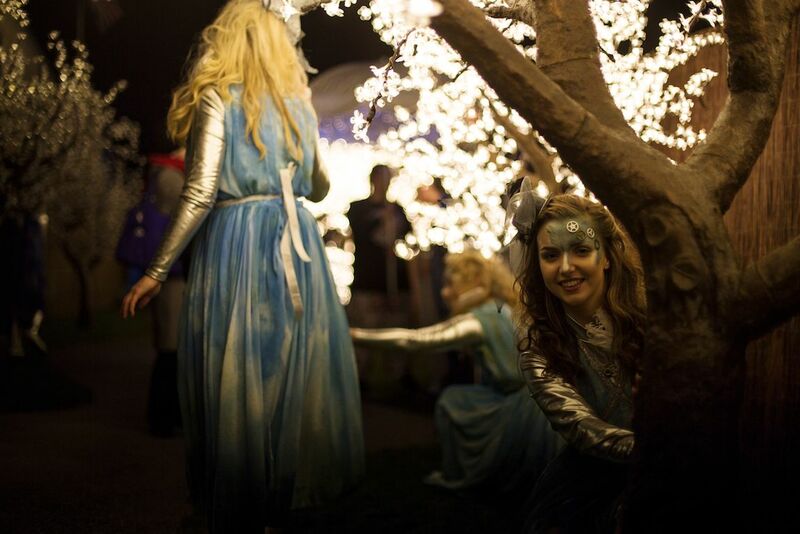 Very nice, cool to see some of the “behind the scenes” and faces. More super touring photos! Julian Majzub with a smile behind the wheel of the Sunbeam Indianapolis (Photo: Adam Beresford)—What a great shot! Doesn’t look like SVRA Amelia Island to me! Amelia Island would have been a lot warmer!